And home, rejoicing, brought me." This tender sadness, brightened by a soft calm peace, was an epitome of his poetical life. Sir Henry's labours as the Editor of Hymns Ancient & Modern were very arduous. The trial copy was distributed amongst a few friends in 1859; first ed. published 1861, and the Appendix, in 1868; the trial copy of the revised ed. was issued in 1874, and the publication followed in 1875. 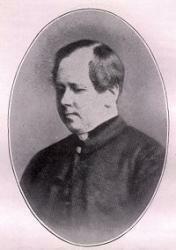 In addition he edited Hymns for the London Mission, 1874, and Hymns for Mission Services, n.d., c. 1876-7. He also published Daily Prayers for those who work hard; a Daily Text Book, &c. In Hymns Ancient & Modern there are also four tunes (33, 211, 254, 472) the melodies of which are by Sir Henry, and the harmonies by Dr. Monk. He died Feb. 12, 1877.